Cybercriminals and IT security strategists are locked in an escalating arms race. 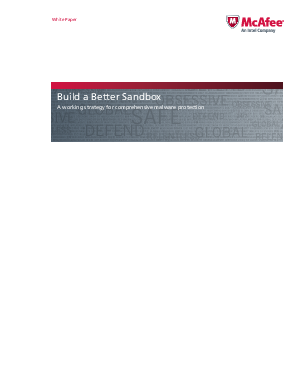 One of the most promising developments on the defensive side is occurring in the area of dynamic analysis detection, commonly known as sandboxing. Not surprisingly, the architectural approaches taken by leading developers vary widely, as do the ways these new products fit into larger security strategies. We believe that a highly efficient and effective malware sandbox can be created by layering several types of analytical engines in a stacked sequence of increasing computational intensity.